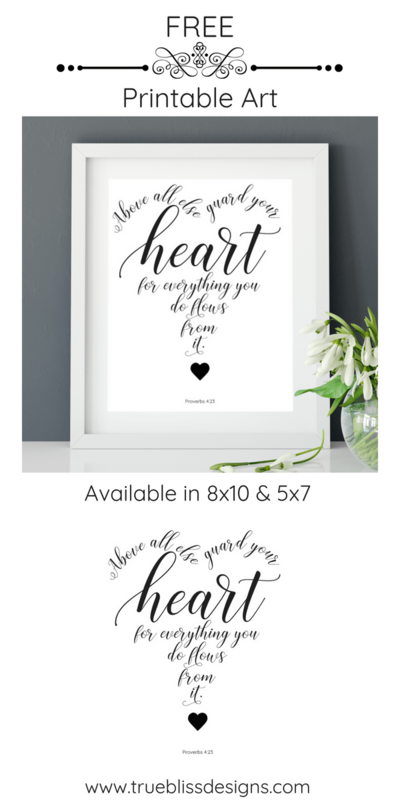 The latest scripture printable art quote has a simple black and white design and is taken from Proverbs 4 23. The print is available in PDF format, sizes 8 x 10 and 5 x 7. If you would like to resize the print, please see the FAQ page for instructions. You can find more of my scripture printable art HERE. Scroll down and click the relevant link(s) below to download. Interested in more free printables? Follow my Pinterest “Printable Art” board.